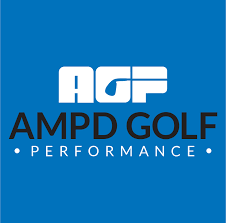 ROCHESTER, N.Y. – Brian Jacobs Golf is excited to announce its partnership with AMPD Golf Performance. AMPD Golf Fitness was established in 2013 by Damon Goddard and Andrew Banner. Its main goal is to become the standard bearer in the golf fitness industry by constantly innovating the way golfers pursue perfection through amplified movement, advanced performance and accelerated recovery. After four years of producing champions at all levels of the game, and a passion to change the shape of golf fitness worldwide, AMPD Golf Performance was founded. “We are excited to team up with Golf Channel Academy at Brian Jacobs Golf to continue to change the shape of the game,” said AMPD CEO, Phil Donnelly. In 2018, AMPD Golf Performance entered into a relationship with Troon, the largest golf management company in the world, as their official golf-fitness provider, and began the process of expanding the AMPD brand to numerous courses around the country while providing online programming access to Troon members around the globe. AMPD Golf Performance was born out of a passion for developing golf champions, and a mission to elevate the ceiling of all athletes, at all levels. AMPD’s tour-proven success is the result of strategic implementation of data, research, and technology all coming together to help their athletes feel better, play better and unleash their swings. Make a commitment to yourself to get better and visit us today.